My name is Nicki Tarr. I live in Brighton and I enjoy practising the noble art of upholstery. It’s a wonderful artisan craft that brings together so many elements I love – working with traditional materials and tools, restoring wood and bringing old chairs back to life. I am lucky enough to spend my days using my hands to create things that are both useful and beautiful. My upholstery training includes four years learning under the expertise of a teacher who is a 4th generation upholsterer. 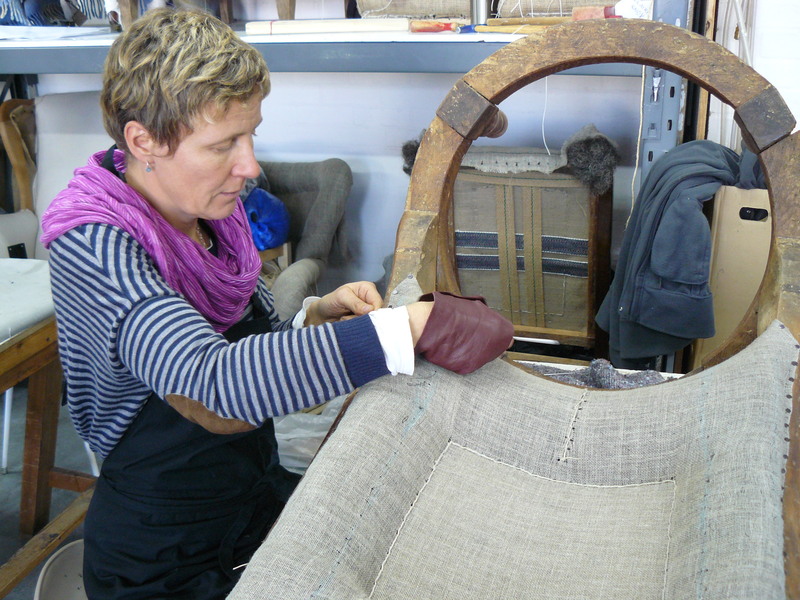 My course was run by The Cass – part of The London Metropolitan University – where they have a long history of training budding upholsterers to a very high standard. I have a Diploma in Upholstery awarded from the Association of Master Upholsterers & Soft Furnishers.